Moving can be stressful; you need to go through old boxes and organize all of your belongings while arranging a variety of other details. However, the process doesn’t need to be boring or difficult. Here are a few steps to make moving fun and enjoyable. If you can’t throw a going-away party, invite friends to help you move. They can help with the packing process including moving boxes and deciding what to keep, donate, and throw away. Additionally, packing with others will create an easygoing and relaxing atmosphere. Asking others to help you move can sometimes feel uncomfortable; always give them advance notice and be considerate of their schedules. Try to move during times when it is convenient for others, such as weekends. As you pack with friends, provide them with drinks and snacks to keep them comfortable during the process. Play your favorite records or online playlists while you pack and movers transport the boxes and furniture. To avoid annoying your friends, movers, or neighbors, ask them beforehand if they mind if you play music. Additionally, consider other people’s preferences before choosing a streaming station or album. Every once in a while, change the station so that you or your friends don’t get tired of the previous choice. Without the proper equipment, cooking at home can be time-consuming. You could also end up interfering with the movers as they work on the kitchen. Eat out with friends to take a break and spend time with them before you move. If they have been helping you during your move, it is always a kind gesture to pay for their meal. 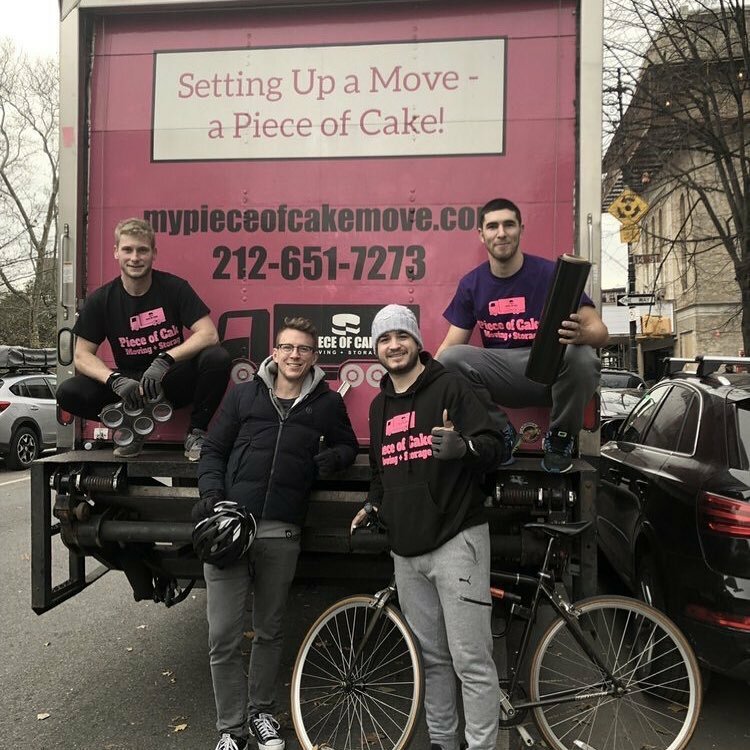 When you want a stress-free, fun move, contact Piece of Cake Moving & Storage. Their experienced professionals can help with every aspect of your move, from offering high-quality building supplies and boxes to packing and transporting your belongings. Visit them online or call (212) 651-7273 to learn more about their services.